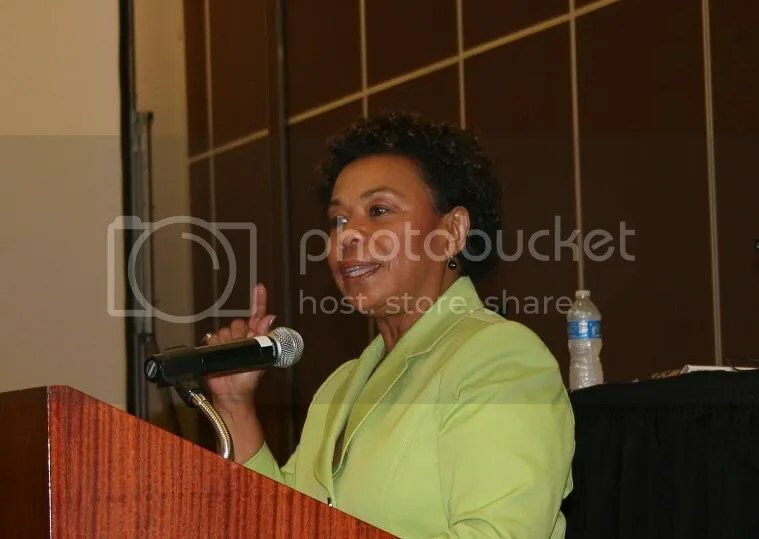 ….I am sorry to have to tell you that you and the rest of the voters of the 4th Congressional District are being denied your right to hear from all the individuals who are vying to represent you in Washington. I have proposed forums each Friday from now till the election so that voters can ask both of us questions and make an informed decision on who to support…. ….Perhaps he doesn’t want to have to answer for his 95% voting record…. And September 28, 2010. In 2010, according to Vicky Hartzler (r), debates were very important and 95% wasn’t a good percentage. Evidently, times they are a changin’. Hartzler-Hensley race for the Missouri seat reflects changing times and a redrawn district. ….Hartzler hasn’t exactly been a boat-rocker in the House. She has voted with the GOP 95 percent of the time…. 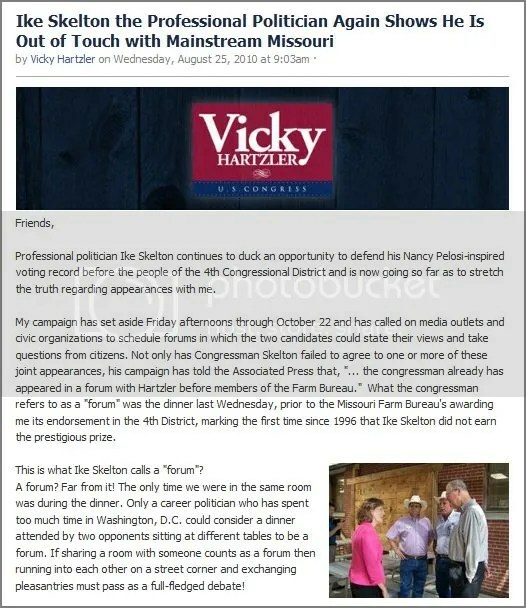 ….So Hensley has pushed Hartzler to debate. But the two candidates have yet to share a stage or microphone. “I think voters deserve it,” Hensley said in a statement provided by the campaign. Hartzler hasn’t budged, although she blames the lack of debates on logistics. “We’ll just have to see what opportunities are available,” she said…. SJR 7, a bill extending term limits to the statewide offices of Lieutenant Governor, Secretary of State, Attorney General, and State Auditor, was pre-filed on December 17th by Senator Jim Lembke (r). Pre-filed December 17, 2010, and ordered printed. 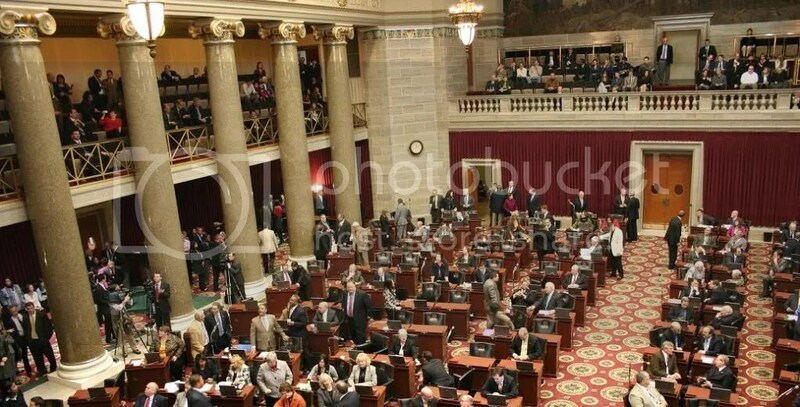 Submitting to the qualified voters of Missouri, an amendment repealing section 17 of article IV of the Constitution of Missouri, and adopting one new section in lieu thereof relating to term limits for statewide elected officials. Section 17. 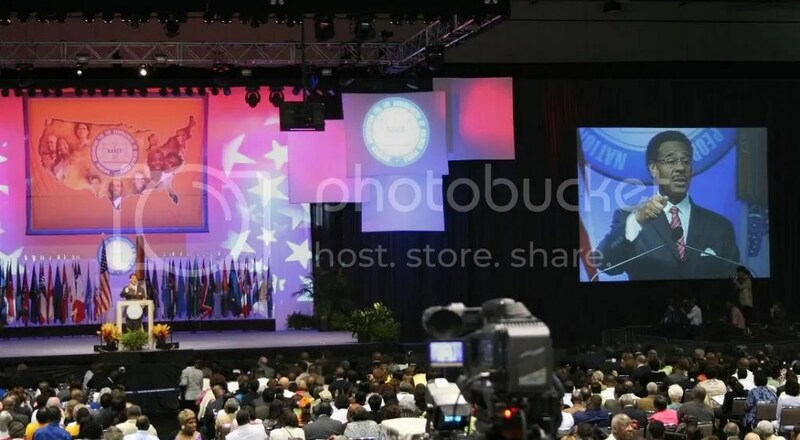 The governor, lieutenant governor, secretary of state, state treasurer and attorney general shall be elected at the presidential elections for terms of four years each. The state auditor shall be elected for a term of two years at the general election in the year 1948, and his successors shall be elected for terms of four years. No person shall be elected governor, lieutenant governor, secretary of state, attorney general, state auditor, or treasurer more than twice, and no person who has held the office of governor, lieutenant governor, secretary of state, attorney general, state auditor, or treasurer, or acted as governor, lieutenant governor, secretary of state, attorney general, state auditor, or treasurer, for more than two years of a term to which some other person was elected to the office of governor, lieutenant governor, secretary of state, attorney general, state auditor, or treasurer shall be elected to the office of governor, lieutenant governor, secretary of state, attorney general, state auditor, or treasurer more than once. The heads of all the executive departments shall be appointed by the governor, by and with the advice and consent of the senate. All appointive officers may be removed by the governor and shall possess the qualifications required by this constitution or by law. INTRODUCED BY REPRESENTATIVES FUNDERBURK (Sponsor), FRANZ, SCHAD, JONES (89), WELLS, POLLOCK, PARKINSON, SILVEY, DIECKHAUS, GRILL, ROORDA, COLONA, OXFORD, WALTON GRAY, SCHIEFFER, ALLEN, GATSCHENBERGER, ENGLUND, McGHEE, SANDER AND ATKINS (Co-sponsors). 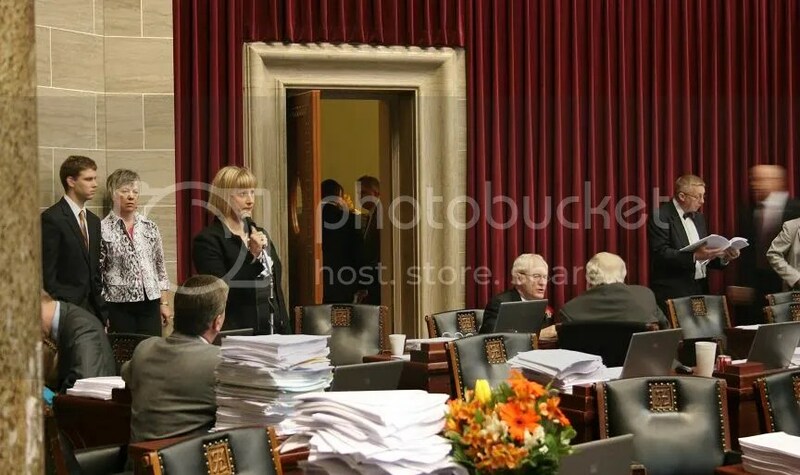 Submitting to the qualified voters of Missouri an amendment repealing section 8 of article III of the Constitution of Missouri, and adopting one new section in lieu thereof relating to term limitations. Section 8. No one shall be elected to serve more than [eight] twelve years total in any one house of the General Assembly nor more than [sixteen] twenty-four years total in both houses of the General Assembly. In applying this section, service in the General Assembly resulting from an election prior to December 3, 1992, or service of less than one year, in the case of a member of the house of representatives, or two years, in the case of a member of the senate, by a person elected after the effective date of this section to complete the term of another person, shall not be counted. Hmmm. You’d think republicans would be more consistent with their legislative priorities, unless there was some sort of tension between the executive and the legislative branches. You think? I don’t want to go through a decade like that again. Bumper stickers in the People’s Republic of Madison – a reflection of the times. Bumper stickers not in the People’s Republic of Madison – another reflection of the times. A little bit of good, a lot of bad, frustration, disappointment, and a lot of crazy. 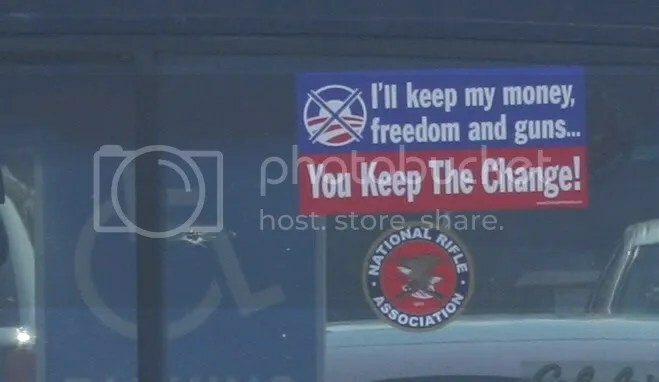 Why is it that so many right wingnut bumper sticker texts end with an exclamation mark? ALL CAPS ISN’T AVAILABLE? Just asking. Is this a good sign? Probably not. 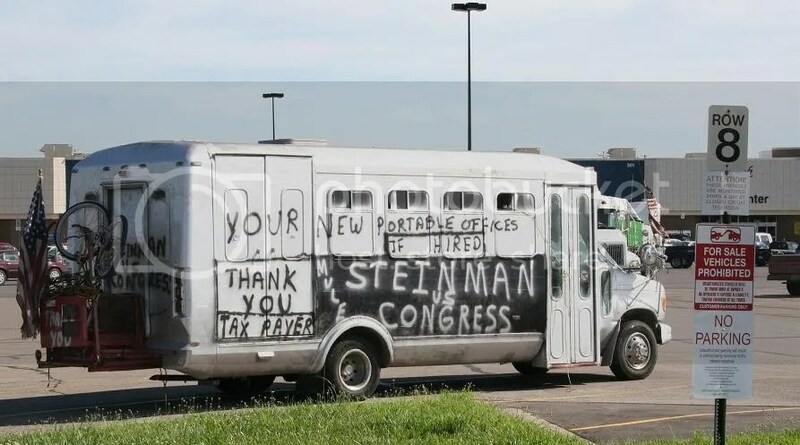 – statement by Representative Denny Hoskins (r-121) which appeared in the Warrensburg Daily Star-Journal on the same day that his campaign made a payment for “push cards” to the same company that made the robocalls. Add your own favorites in the comments, if you’ve got ’em. 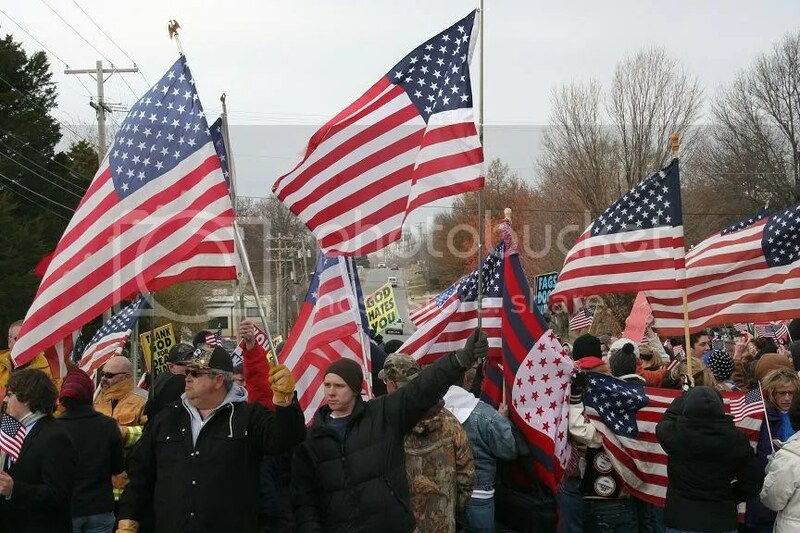 Over the course of the last year we covered a number of government and political events in Missouri (and elsewhere), in the process taking thousands of photographs. Most of them didn’t make it into the blog. Some of the things we saw and heard made us smile, made us think, made us gasp, made us hope, and made us despair. We thought we’d provide a retrospective of some of the pictures and stories we consider to be memorable. 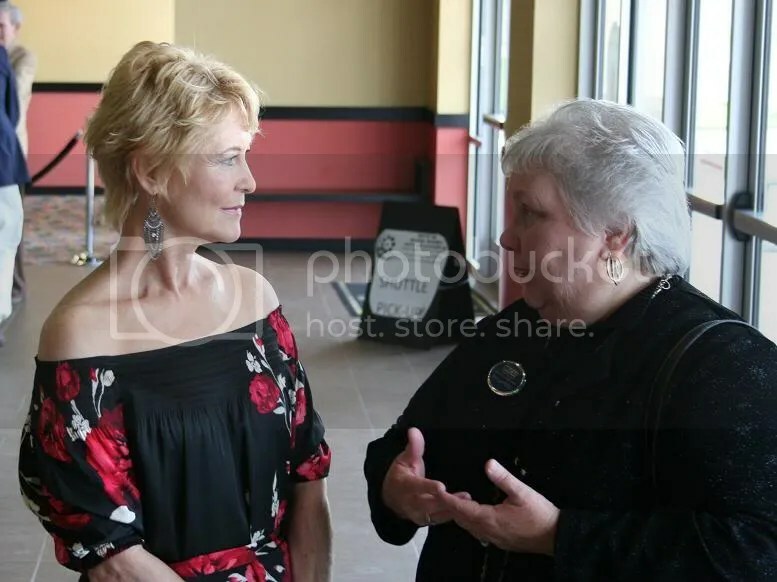 Dee Wallace (left) and Pam LaFrenz, Executive Director of the Missouri Valley Community Action Agency. 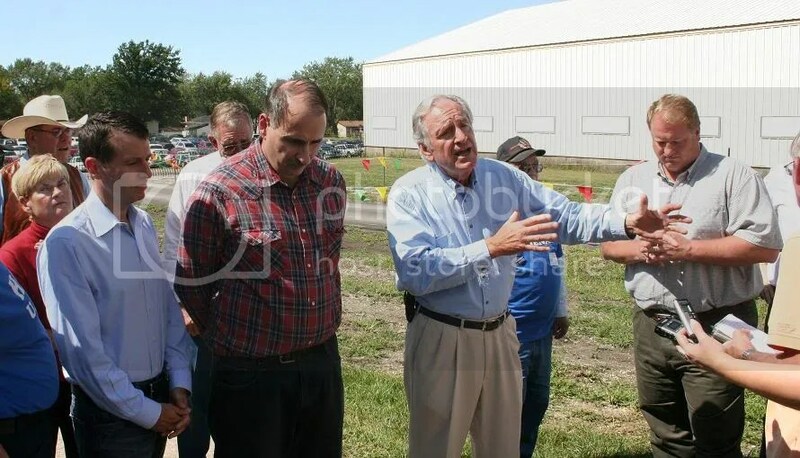 (left to right, foreground) David Plouffe, David Axelrod, Senator Tom Harkin (D), Governor Chet Culver (D). 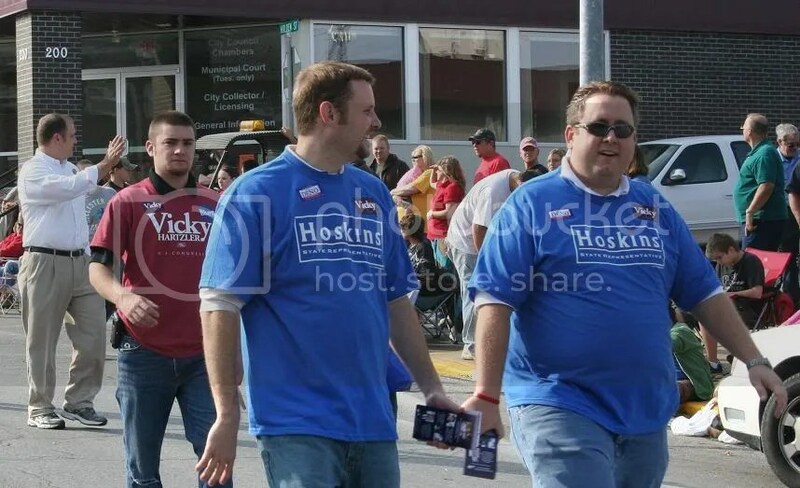 October 23, 2010: Representative Denny Hoskins (r) (left, in white), Dave Hageman, Missouri Executive Director of Victory Enterprises (center, in blue) and Robert Knodell, Executive Director of the House Republican Campaign Committee (right, in blue) at the University of Central Missouri Homecoming Parade in Warrensburg. 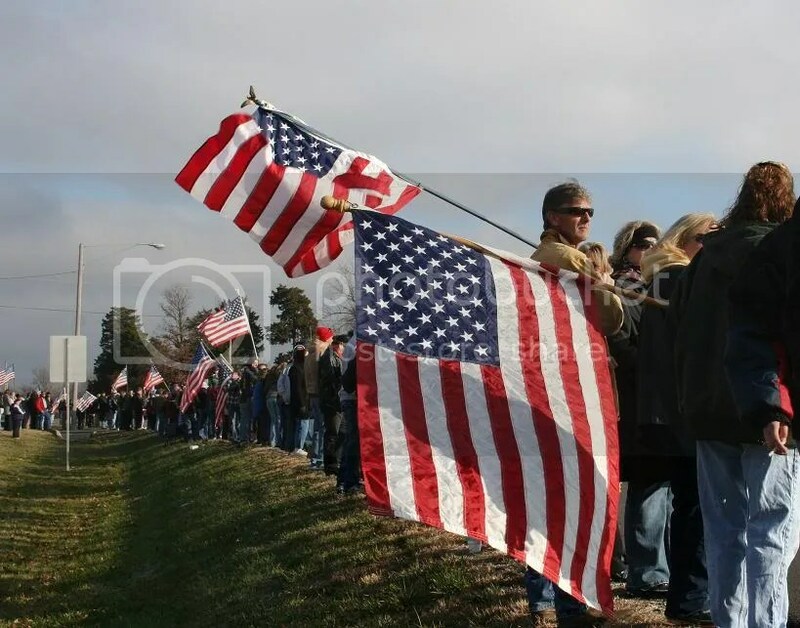 at his funeral in Harrisonville, Missouri. (upon our offer and with our permission) along with an editorial by Jack Miles on free speech. 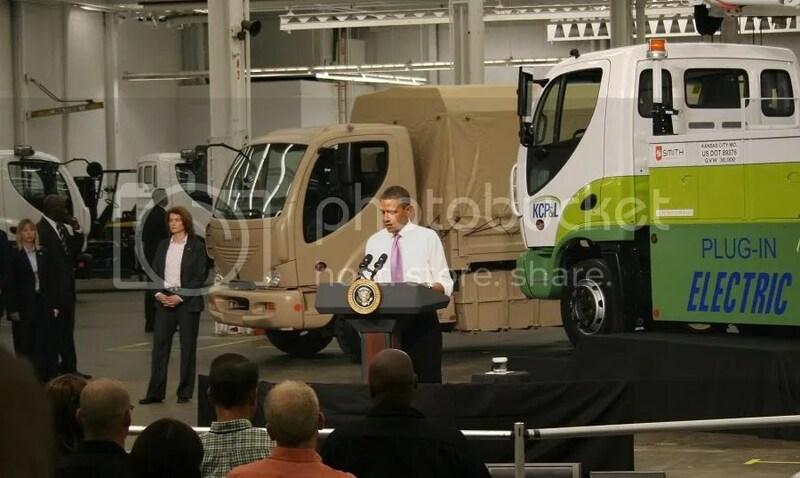 President Obama at Smith Electric Vehicles in Kansas City. Is the President looking at me? 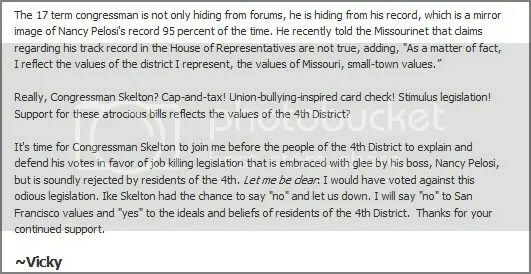 July 9, 2010: Congressman Ike Skelton (D) in Missouri’s Fourth Congressional District had a primary challenger. 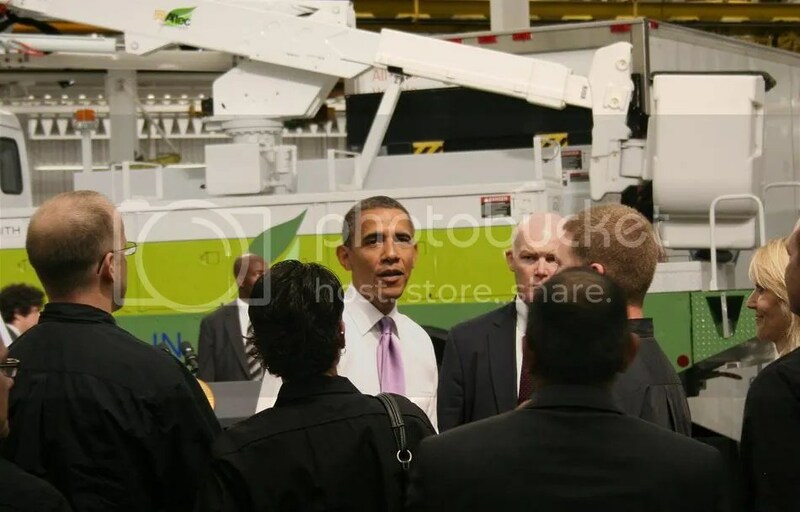 That was the least of his problems – he was upset in the November general election by Vicky Hartzler (r). 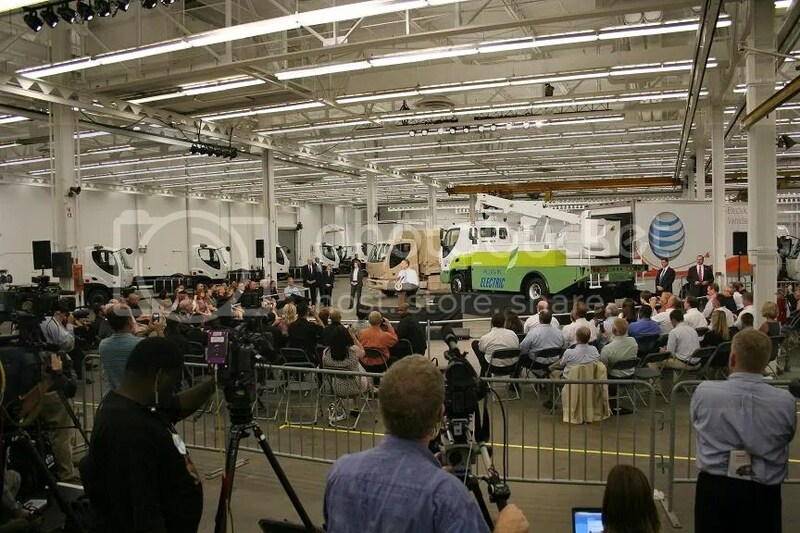 July 14, 2010: Waiting for the start of the press conference. 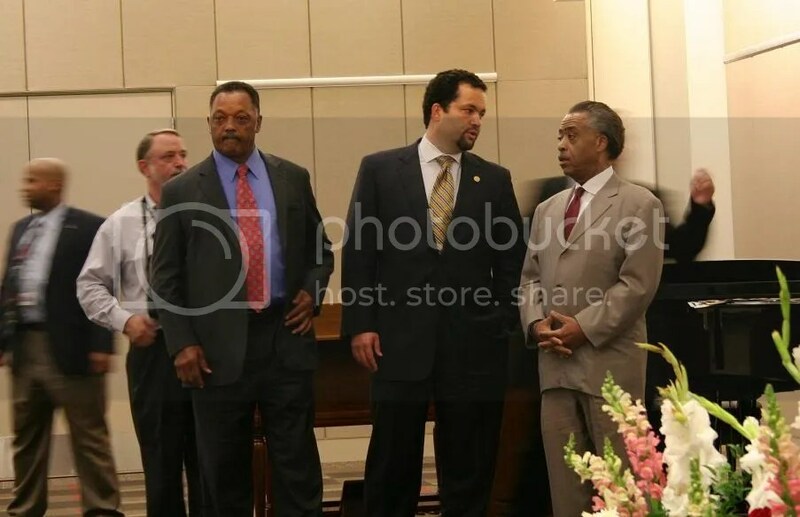 (left to right) Reverend Jesse Jackson, NAACP President and CE0 Benjamin Todd Jealous, Reverend Al Sharpton. 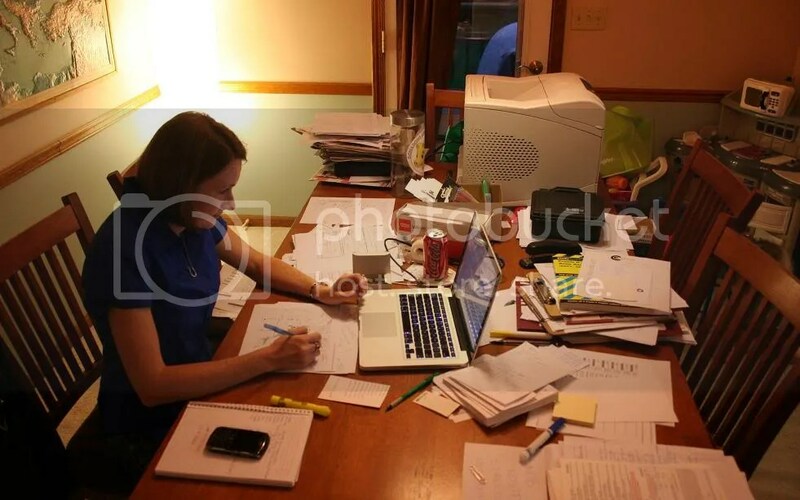 August 5, 2010: Courtney Cole, the Democratic Party candidate in the 121st Legislative District, at work on her campaign after the August primary. 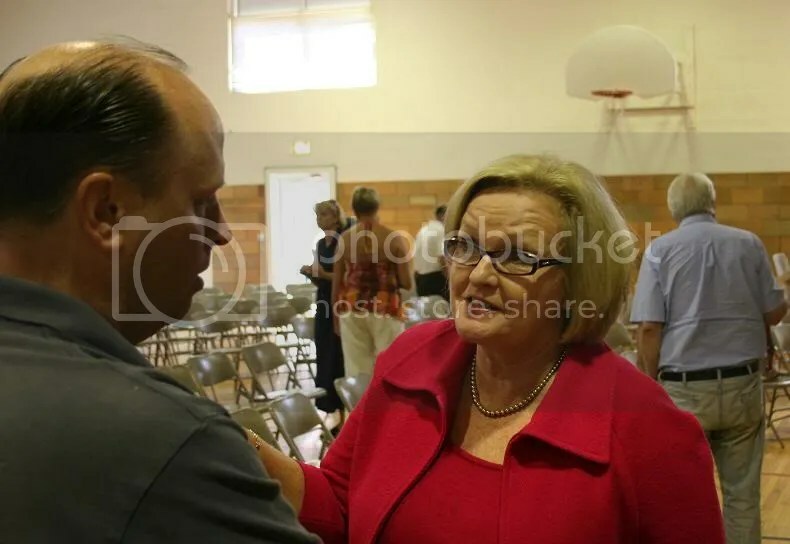 August 10, 2010: Senator Claire McCaskill (D) at a town hall in Concordia, Missouri. January 6, 2010: The view from the train at the stop in Sedalia on the way back from Jefferson City. 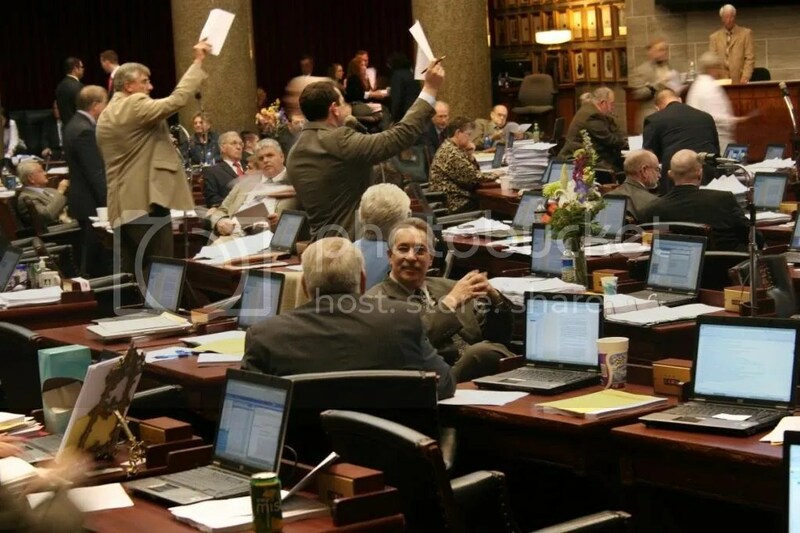 ….After the partisan applause lines the republican side of the House stood to offer their encouragement. The Democratic side tended not to. This was a much more austere occasion then the previous openings of session I have attended. Tomorrow there will be a “technical session” – a significant number of House members were heading home this evening due to the incoming inclement weather. 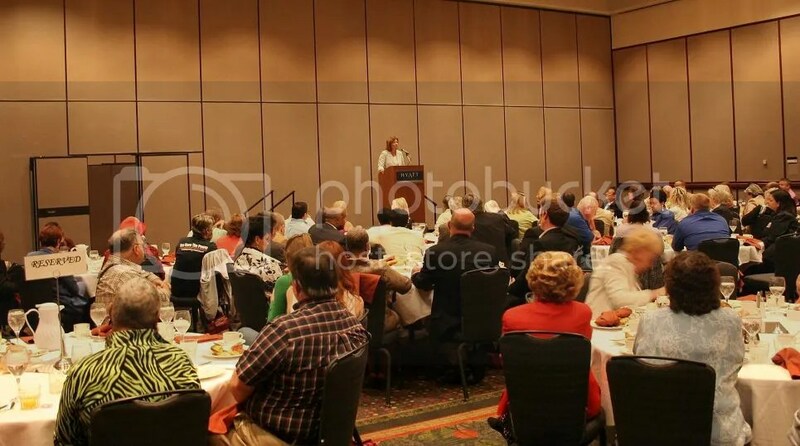 State Auditor Susan Montee (D) speaking at Truman Days in Independence, Missouri. 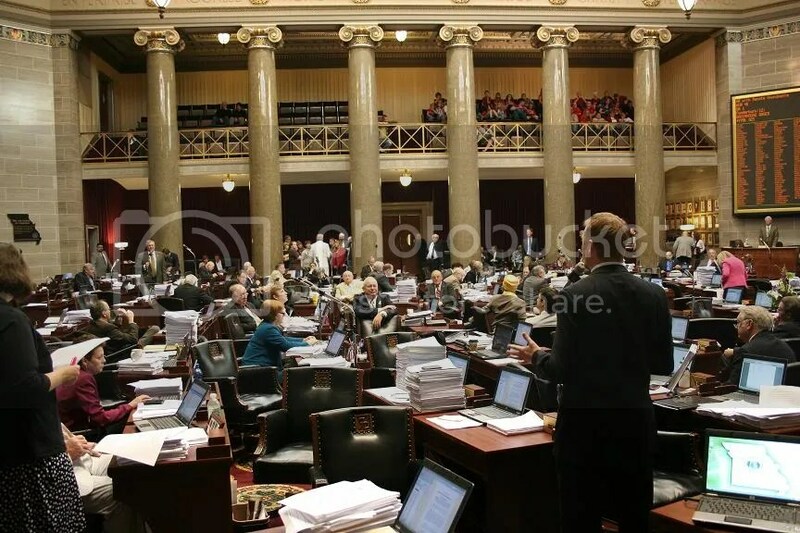 We made a trip to Jefferson City in the middle of the session and promptly got booted from the press gallery, supposedly because the capitol press corps complained about our presence on their turf. 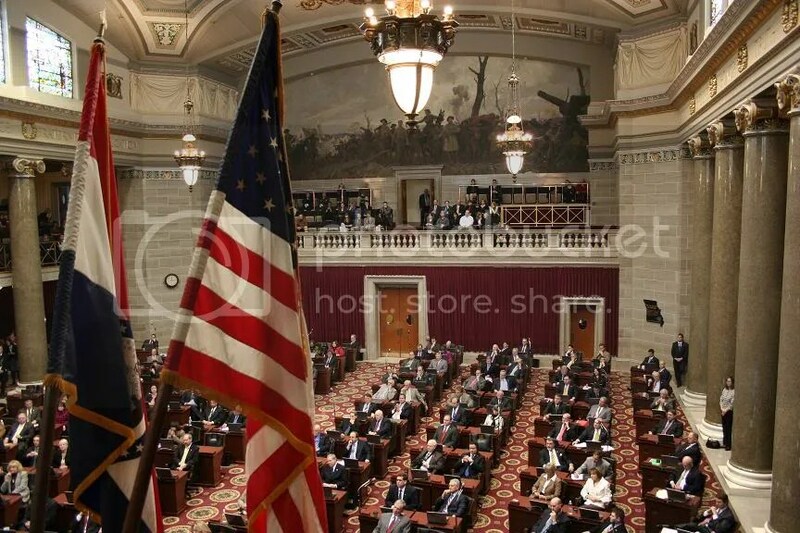 We contacted various folks in Jefferson City about the situation and eventually were allowed to work from a side gallery in the House chamber during the last week of the session in May. Representative Luke Scavuzzo (D-124) (center, seated) in conversation on the House floor while other representatives (standing in the background) wait to be recognized by the Speaker. Representative Beth Low (D-39) speaking against ant-choice legislation for the “millionth time”. 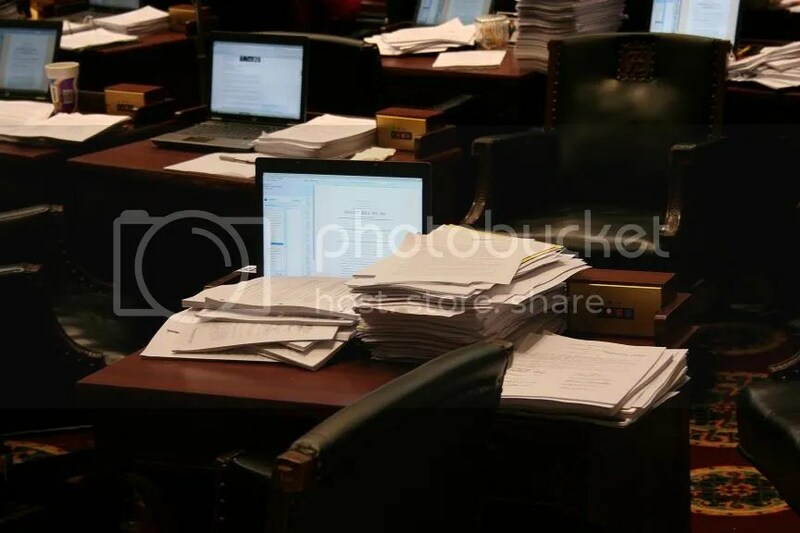 A typical end of session scene on a representative’s desk on the floor of the House. Representative Jason Holsman (D-45) in debate on the House floor. 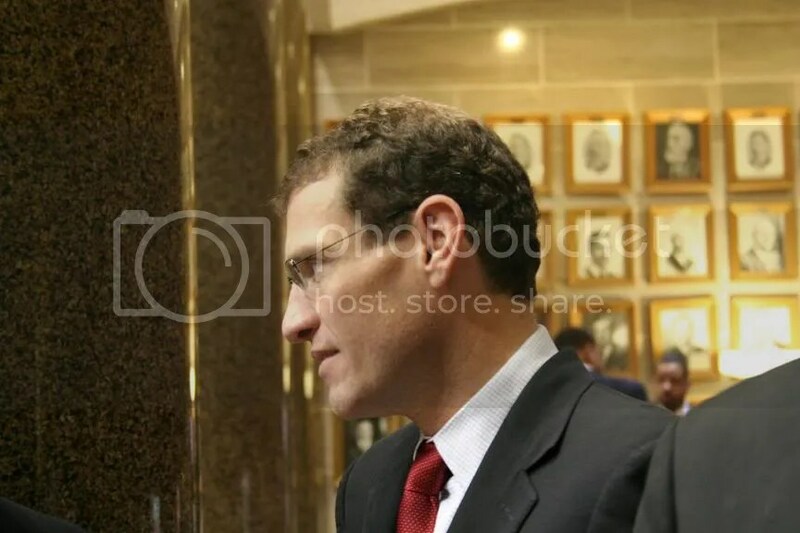 State Treasurer Clint Zweifel (D) in the House chamber side gallery. 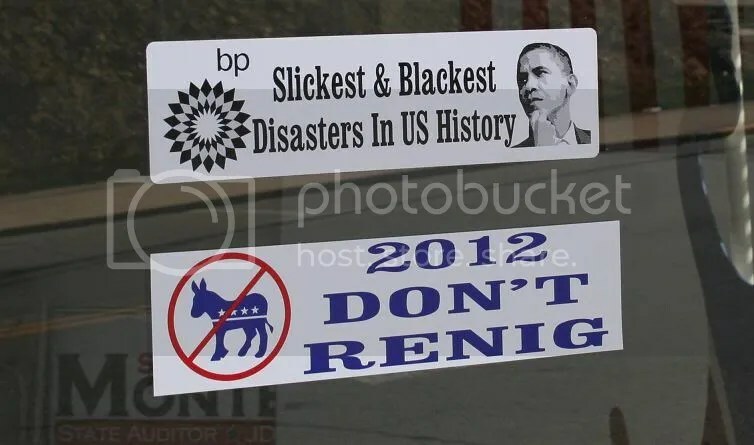 Many good Democratic Party legislators won’t be returning due to either term limits or defeat in the bad election year that was 2010. 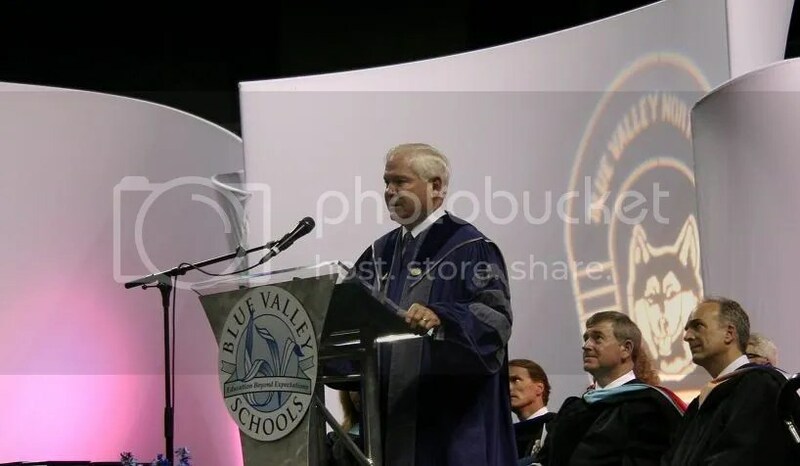 Secretary of Defense Robert gates spoke at a high school commencement in Kansas City in May. 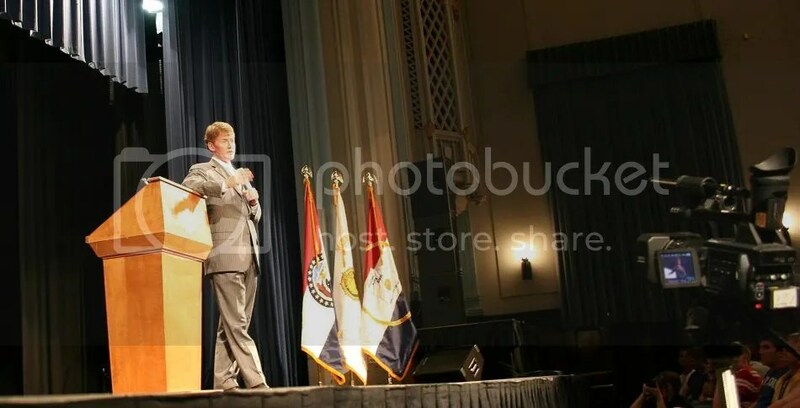 Missouri Attorney General Chris Koster (D) at Boys State. 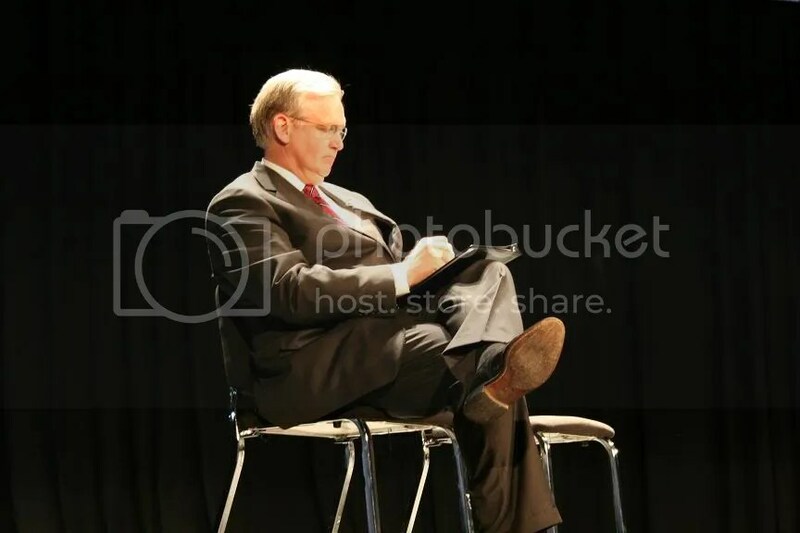 Missouri Governor Jay Nixon (D) at Boys State. 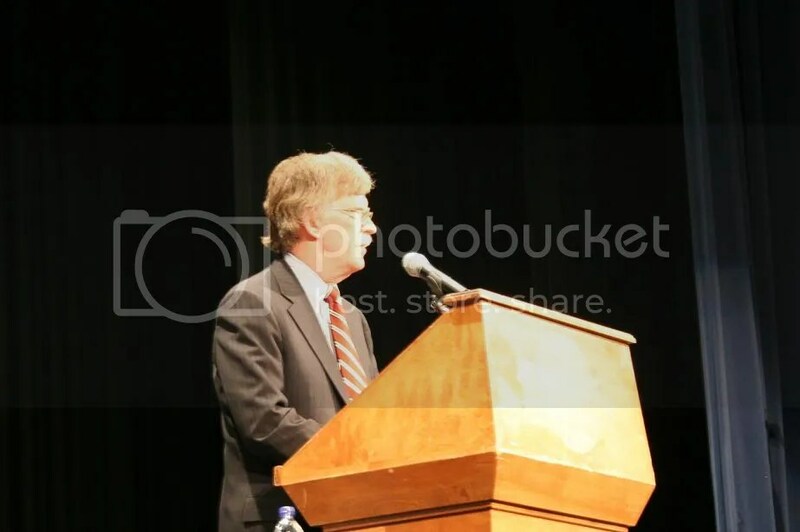 Former Ambassador John Bolton at Boys State. WASHINGTON – During this holiday season, President Obama used his weekly address to give thanks for the blessings of America, in particular that distinctly American impulse to give something of ourselves and do what is required to make tomorrow better than today. 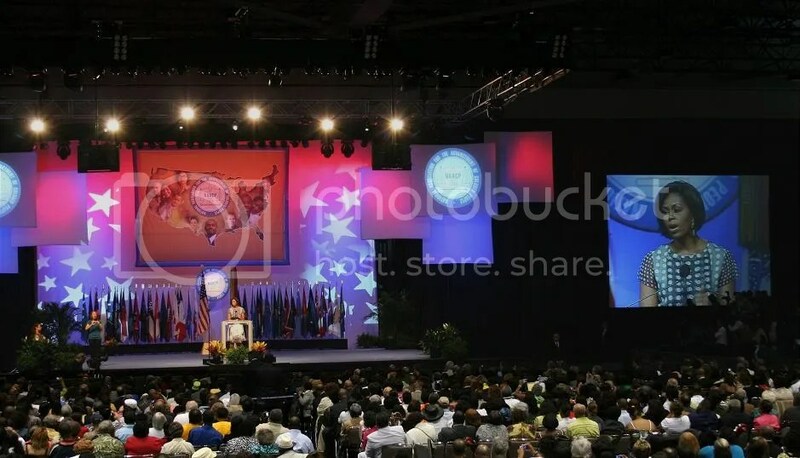 With that sense of determination and sacrifice, America has built a powerful economy, stood against tyranny, fought for equality, and connected the globe with our own science and imagination. And by working together as one people – as Americans — we can overcome the challenges currently facing our nation. To every American, I am thankful for the privilege of being your President. To all our service members stationed around the world, I am honored to be your Commander-in-Chief. And from the Obama family to yours, have a very Happy Thanksgiving. …There was a closer and more contentious vote for best Halloween costume in the 5 year old division in my hometown a few weeks ago. Can we now please ignore these political incompetents? And could they now start acting like Democrats? Because obstructing the Democratic Party agenda and then losing a big chunk of your own “blue dog” caucus entitles you to repeat your disastrous strategery on a larger scale? Why should Democrats care what the republicans in the House think of Nancy Pelosi?